There is currently a push in the Texas Legislature to expand and legalize Gambling in Texas, such as casino gambling. The legislation to legalize gambling is being driven by nearly a million dollars that the gambling industry has given to Members of the Texas Legislature in this last election cycle. H.J.R. No. 112 is a joint resolution that has been introduced in the Texas Legislature proposing a constitutional amendment that would legalize casino gambling in Texas. So does Casino Gambling have a chance to be legalized in Texas? Considering that Republicans have a Super-Majority control of the Texas House of Representatives, let’s take a look at what the Republican leaders in Texas have to say about gambling on the future. I was on a conference call with Gov. Perry (sponsored by Texans for Fiscal Responsibility). I asked Governor Perry if he supports the current push for gambling in Texas. He said that he is and always has been against expanding gambling in Texas. He says that he believes most of the Texas Legislators are also AGAINST expanding gambling in Texas too. He said if gambling was the way to solve state financial problems then Nevada would be doing great, but Nevada has serious financial problems. There will be no expanded gambling in Texas anytime soon. But you won’t see me crying about it because I am one of the nearly ¾ of the Republican Party against expanding Gambling in Texas. For more information about proposed gambling in Texas, including what other leaders have to say about the idea, and also a list of gambling industry campaign contributions – click here. What are you people afraid of? Let the PEOPLE VOTE on gambling. It is called democracy and it has worked in the Unided States for over 200 years. These few "self imposed do gooders" are dictating what WE TEXANS want. WE WANT TO VOTE on gambling PERIOD! To me, this is an issue of personal responsibility. There are always going to be people who gamble, they travel out of state every week to do so. Given that, I think it's perfectly appropriate to allow gambling here, but I want it restricted to areas where it's happening now, like the tracks. I don't want a casino on the Riverwalk, for example, or in downtown Dallas. I'm a lifelong CONSERVATIVE and hate the argument that 'it destroys peoples lives'. That's what a liberal would say. People should be FREE to make their own choices. promises promises promises..... but no return on the investment.... just more crime and more families and lives runined and money sucked out of homes. Rob Kohler for the Texas Baptist Christian Life Commission said bringing casino gambling to Texas would enable people to gamble who do not have the means to go elsewhere. He also said pari-mutuel wagering came with promises of revenue that did not pan out, and instituting the lottery did not "solve all our problems." Suzii Paynter of the Texas Baptist Christian Life Commission said the costs of more gambling, such as from litigation and social problems, would outstrip gains. Paynter asked the lawmakers to consider whether they would solve their personal financial problems with gambling; if not, they should not do so for their constituents. "We have an opportunity to make a decision as if this state were a family," she said. you are right. The people should decide. They DID when they voted on a gambling prohibition as part of the Texas Constitution. That is putting it in the hands of the people. Furthermore, Texans should be able to vote on this issue and decide for themselves. You telling someone that they shouldn't be able to gamble in Texas because it could "ruin their lives and their family" is NOT the conservative thing to do. Oh, so by that logic, then the people of Texas also decided that women and blacks can't vote, and that it's ok to have slaves. Don't reach back to when the Texas Constitution was drafted - that is just ignorant. I agree with Jim. Put it on the ballot and let the citizens vote on it. I contacted my local legislators a couple of years ago and voiced my opinion that Tx was losing millions of dollars every year by not having casinos. Their reply was "I" do not think it would be good. I don't think we elect the legislators to do what they want or what they think is best for us, but do what the tax paying citizens that vote them into office want. That is a chance to vote on it. Texas has lost billions of dollars to Ok and La over the past years and there is no way to ever get it back. What a joke the GOP has become. We are suppose to be the party that stands up for our rights yet we are dictating what THE PEOPLE are allowed to vote on. Good job Robert Duncan - (R) Lubbock. You just lost my vote... Along with many other GOPers that are showing their true colors. What gives you the right to stop Texans from voting on this? A vast majority of Texans want to vote on this and you all think you speak for the majority? Then let us vote! Republican politicians are going to pander to the Christian right all day long on this issue. They are a huge part of their constituency. This is as certain as which direction the sun will come up tomorrow. Pragmatism, I'm afraid, will not prevail here. If pragmatism doesn't prevail this go round, then the gambling lobby needs to pack their bags, head to greener pastures, & never return to Austin, Texas ever again. Governments have absolutely no right to protect people from themselves, but we see this kind of claptrap all the time. Casino types are going to get their fix one way or another. New Mexico, Oklahoma, & Louisiana are a stones throw away for most Texans. 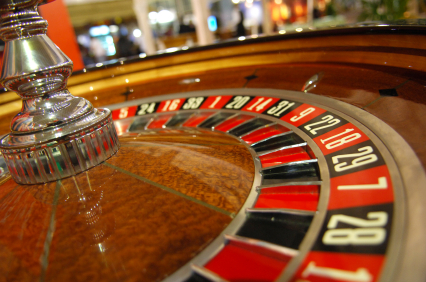 I've looked at several polls over the last couple of months, & Texans want casino gambling. Not one poll is even close. Politicians need to step aside on this one & leave it up to us. Stop pandering & let's get 'er done.